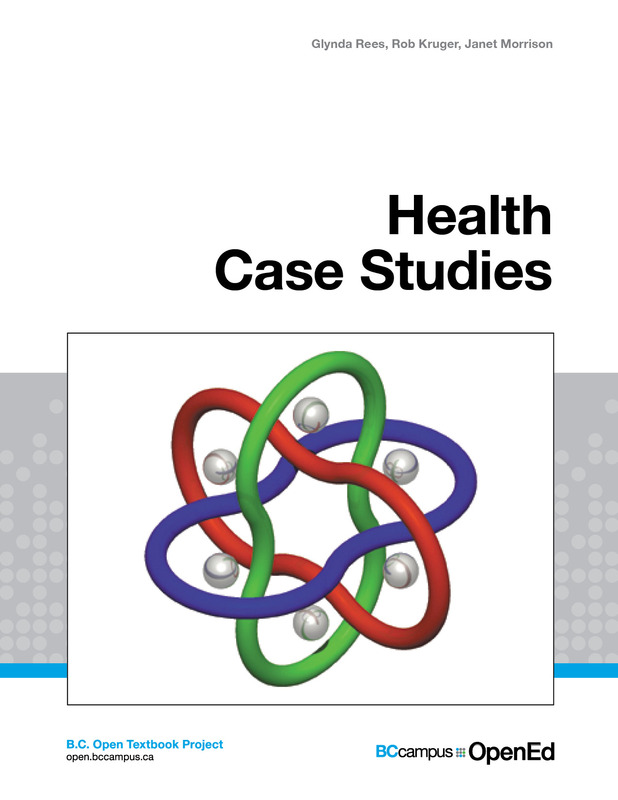 Book Description: Health Case Studies is composed of eight separate health case studies. Each case study includes the patient narrative or story that models the best practice (at the time of publishing) in healthcare settings. Associated with each case is a set of specific learning objectives to support learning and facilitate educational strategies and evaluation. The case studies can be used online in a learning management system, in a classroom discussion, in a printed course pack or as part of a textbook created by the instructor. This flexibility is intentional and allows the educator to choose how best to convey the concepts presented in each case to the learner. Because these case studies were primarily developed for an electronic healthcare system, they are based predominantly in an acute healthcare setting. Educators can augment each case study to include primary healthcare settings, outpatient clinics, assisted living environments, and other contexts as relevant. Health Case Studies by BCIT is licensed under a Creative Commons Attribution-ShareAlike 4.0 International License, except where otherwise noted. Health Case Studies by Glynda Rees, Rob Kruger, and Jane Morrison is used under a CC BY-SA 4.0 International License, except where otherwise noted. Rees, G., Kruger, R., Morrison, J. (2017). Health case studies. Victoria, BC: BCcampus. The image for the resource cover shows Molecular Borromean rings. This illustration was chosen to depict the interconnectedness of all members of the healthcare team, the patient, and the contexts surrounding the patient on their journey through the healthcare system. Cover image attribution: Schematic of a molecular Borromean ring was originally uploaded by 718 Bot at en.wikipedia, created by Armando-Martin, and used under a CC BY 2.5 license. For questions regarding this license or to learn more about BCcampus Open Education, please contact opentext@bccampus.ca.